This Individual had created his own version of the Pickit 3 and had posted his method for doing so. I was excited to see some real information about the process, and set about determining how I would do the same, now that I knew someone else had verified that it would work. 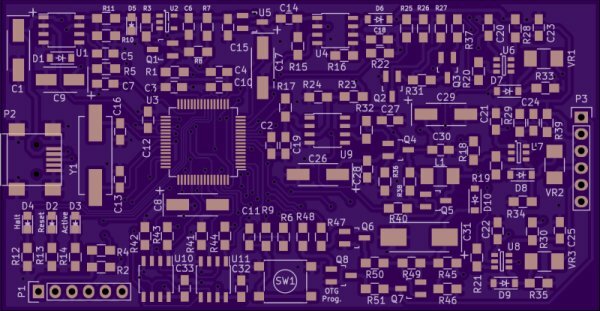 Note: Complete kicad project pfiles, pcb, schematic, are attached at the end. 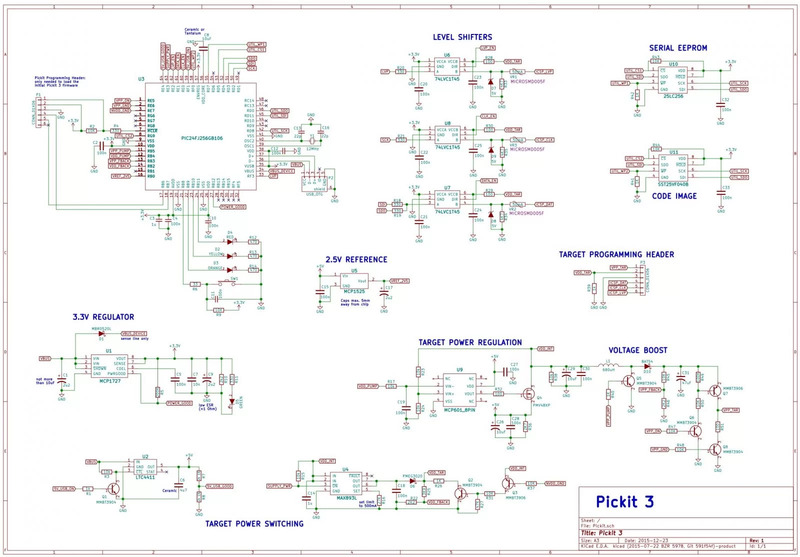 This schematic is very similar to the one Hendrik used, with a couple component changes and a fix for a PNP transistor that was shown backwards on his schematic. I’ll briefly talk about the different sections that I have labeled above. 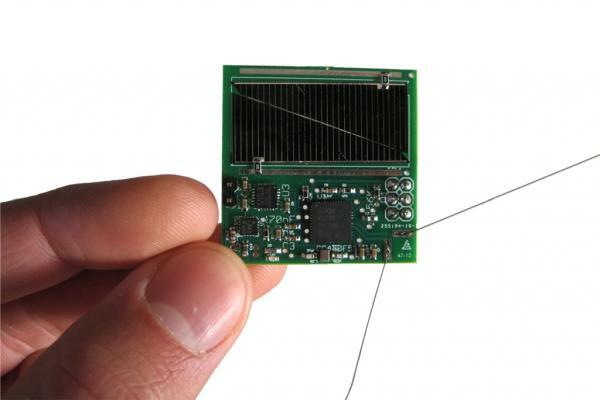 First – in the upper left corner is the pic24 processor that controls this device. It is a PIC24FJ256GB106 mcu. There are the requisite capacitors and 12MHz crystal attached, as well as a programming header to load its firmware. In addition to these components, the USB connector is shown, as well as the status LEDs and OTG Button connections. Directly below the MCU is the MCP1727 voltage regulator. 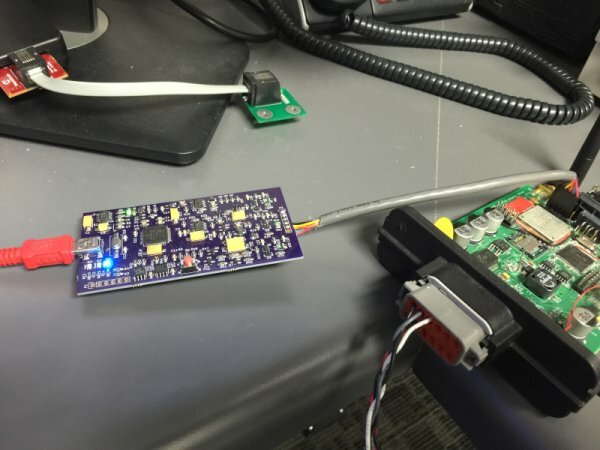 At the bottom is a LTC4411, a MAX893L, and associated circuitry that among a couple other things, controls the power to the programming target, if it is not self-powered, and this device is supplying power to it. Above that is a MCP601 op-amp and voltage boosting circuitry. In the middle of the page is a MCP1525 voltage reference chip and the Target programming header. Top center you will see the three 74LVC1T45 voltage level shifters, and to the right are the 25LC256 EEPROM and also the SST25VF040B serial flash chip used for the Code image when doing OTG programming. 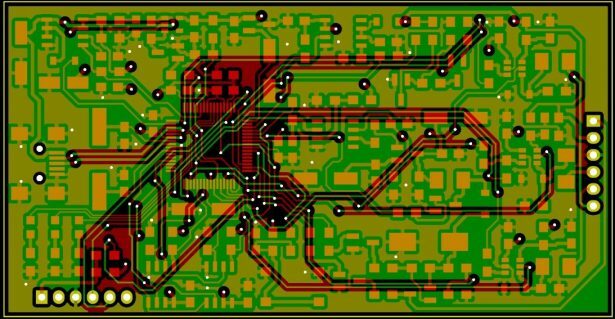 After carefully checking my schematic against the one used on the Blog and also against the one published by Microchip – I was satisfied that it was accurate and I moved on to laying out the PCB. The above image shows the front and back signal layers after routing was completed. The 4 zones I used for the power plane were for 3.3V, 5V, and then VDD_INT and VDD_TAR – just to make it a little easier to place components where I wanted without having to route a bunch more traces. I didn’t have models for a couple of the components like the Inductor or the PTCs that I used, so I just filled them in with resistor models, but you get the idea. Now that my board was ordered, I turned my attention to the BOM and getting my parts ordered. Here is an Excel CSV file that contains everything I used – complete with Digikey part numbers. Take notice of the NOTES column where the design has specified Tantalum caps, and also one in particular that needed to have < 1 ohm ESR. 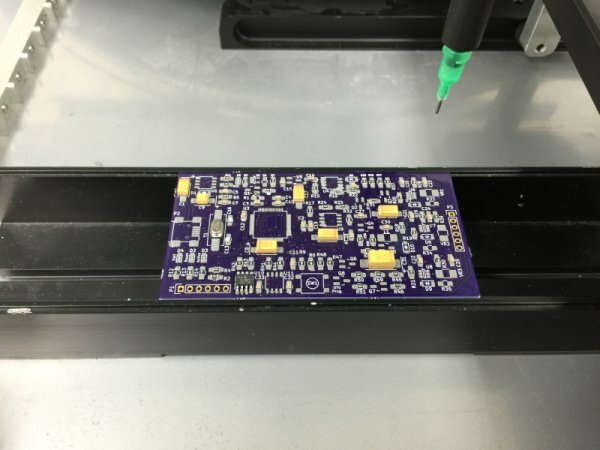 After the board was pasted and populated, it was time to reflow the solder. 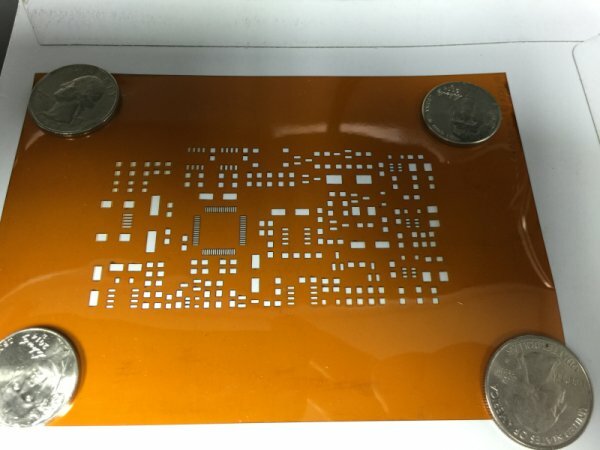 I was fortunate to have access to a production reflow oven, but any other method should work just fine – toaster oven, hot-plate, skillet, etc… If you are more adventurous than I am, I’m sure you could solder the whole thing by hand. 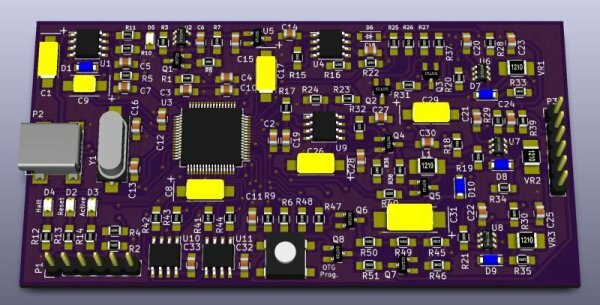 I used 0805 or larger components for everything, and I also used the “Hand-Soldering” footprint variants in Kicad when laying out the PCB, so there is a lot of pad available to solder on if you want to give hand-soldering a go. There you have it – a successful project in every regard. 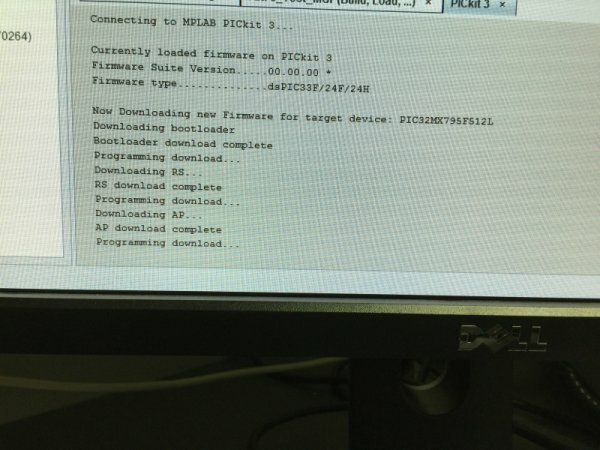 Throughout this post, I have linked everything that I used to complete this project except for the firmware for the Pickit3. 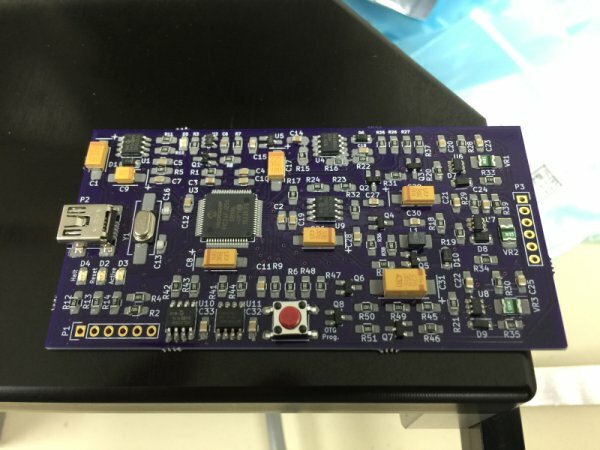 Microchip has publicly released the schematics for this device, but I’m not sure what their stance on the firmware is, so I will not host it here. It is easily discovered with a minimum of effort. I have tested the ability to program and debug several different pic processors with this device. It works – plain and simple. 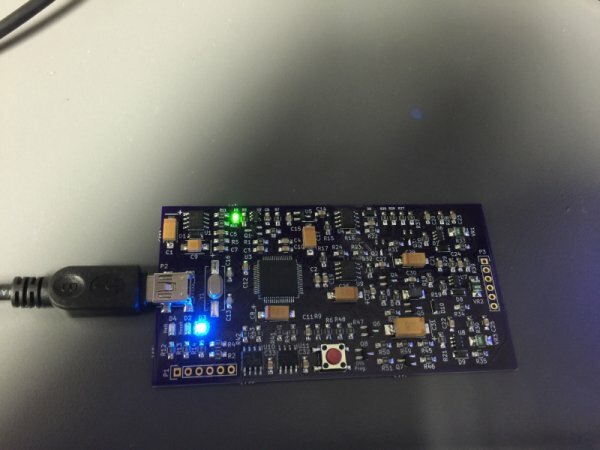 What I have not yet tested is the OTG programming mode where you can load an image into the serial flash and take it around and program with it that way. I will test that shortly and edit this post to reflect my results. 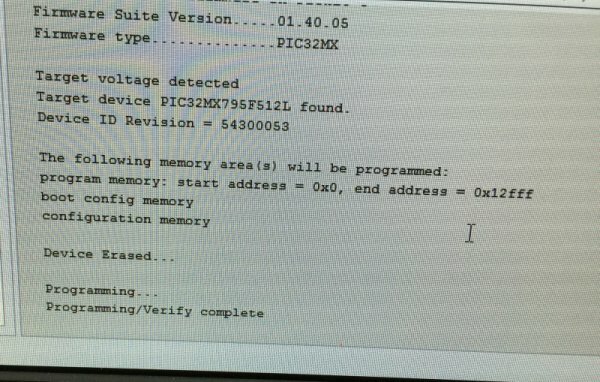 EDIT – 2/9/2016 – OTG Programming mode worked fine. I was able to load an image and program from the on-board image without any problems. 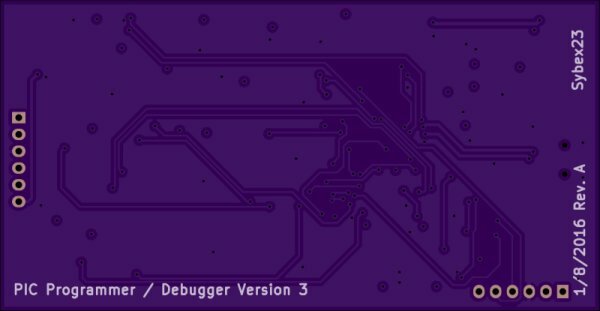 After the test, MPLAB X gave me the option to return to programmer/debugger mode the next time I connected. 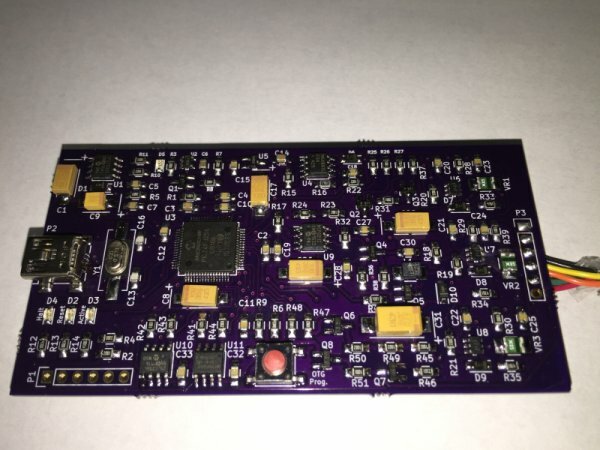 Since everything worked so well, I may do a revision of this board and use 0603 or smaller parts, and may place components on the bottom to shrink it down to a smaller size. 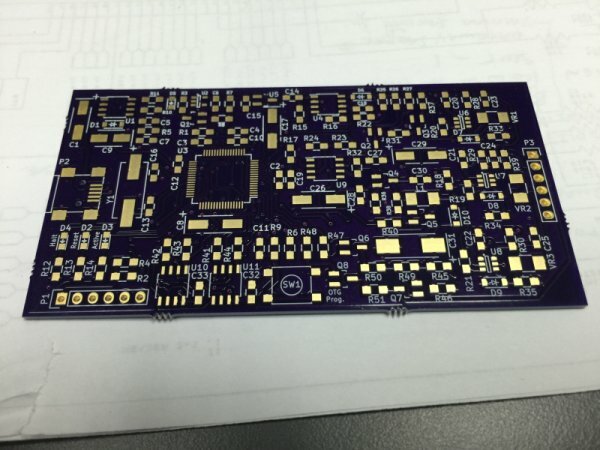 the current board is 3.58×1.85 inches (90.91×47.09 mm). It’s not all that much larger than an actual Microchip Pickit3, but I’d like to see if I can make it something more along the lines of a USB Thumb Drive sized device. I am going to see if a colleague of mine will create a CAD file of an enclosure for this device and then 3d print it. If so, I will post pictures and the file(s) here as well. If you download the files for use in Kicad, you will get an error message that says you are missing component symbols, etc… However, it will still open and work – using the lib-cache file. At some point in the near future, I will create a separate library file with the actual symbols I used and place it in the download directory as well if it is needed, but I think you should be ok to use it as it is.